Now I know that you’ve already read our article on the $1million gargantuan behemoth EarthRoamer, but the Ford Earthroamer is a different entity entirely. 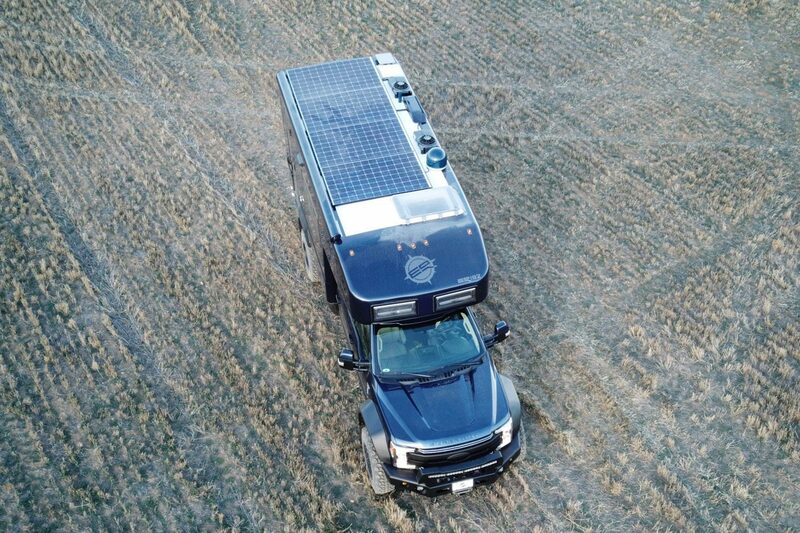 Built on a four-wheel drive, turbo diesel, Ford F-550 chassis, this off grid living tiny house is capable of operating all year round through any weather. It’s completely self-sufficient, with solar and battery powered appliances and no noisy generators to harsh your off grid mellow. 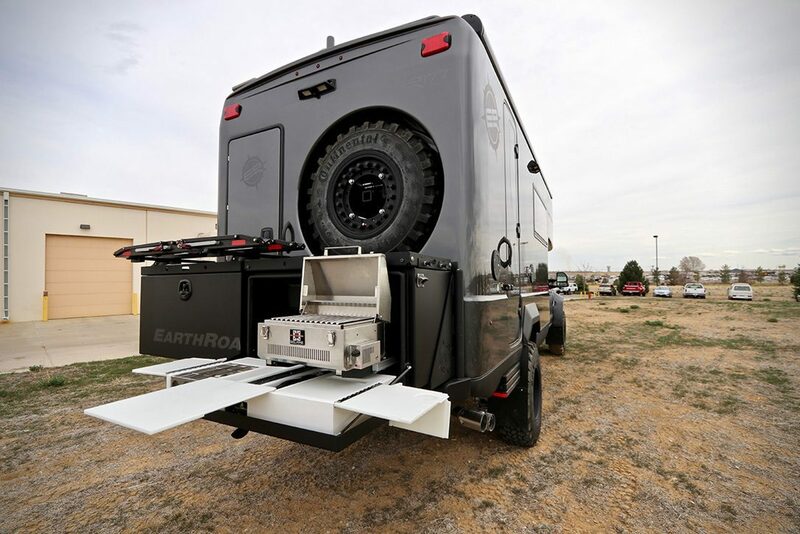 The Ford EarthRoamer can hold 85 gallons of fresh water, 95 gallons of diesel, and has enough batteries to give you 12000-watt-hours. Sounds pretty much like it’s more prominent namesake in every way right? Well, it is, except this one starts at $490k – that’s half as much! The XV-LTS Ford EarthRoamer is built for driving on or off the road – it doesn’t really know the difference! The Air Ride suspension makes off-road handling and levelling a breeze, leaving you to enjoy the scenery and crank up your best road trip songs. The mighty 6.7L turbo diesel V8 engine will get you from A to B at highway speeds over the toughest of terrain, and the 40″ curved light bar means that your adventures don’t have to stop at night. Each Ford EarthRoamer is handcrafted in Colorado and built for extreme off-roading. You can choose from multiple floor layouts and interior features to customise your XV-LTS to your exact specifications, but we’ll get onto the luxury interior in a moment! 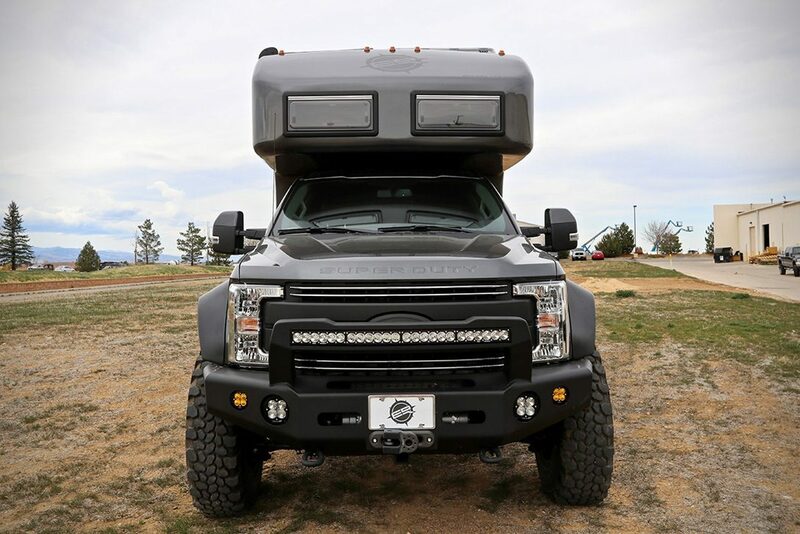 At 29 feet long and almost 12 feet high this camper is an absolute monster – not even the TomTom Go Camper can predict what roads this beast can fit down! 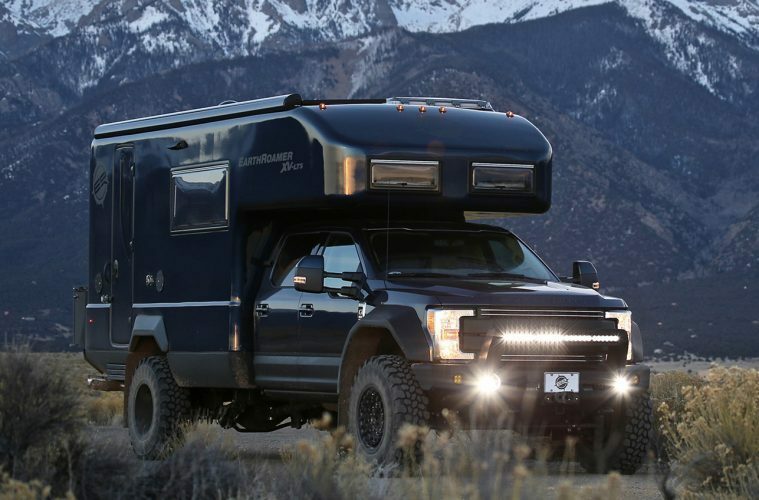 Is The Ford EarthRoamer Really Built For Off Grid Living? 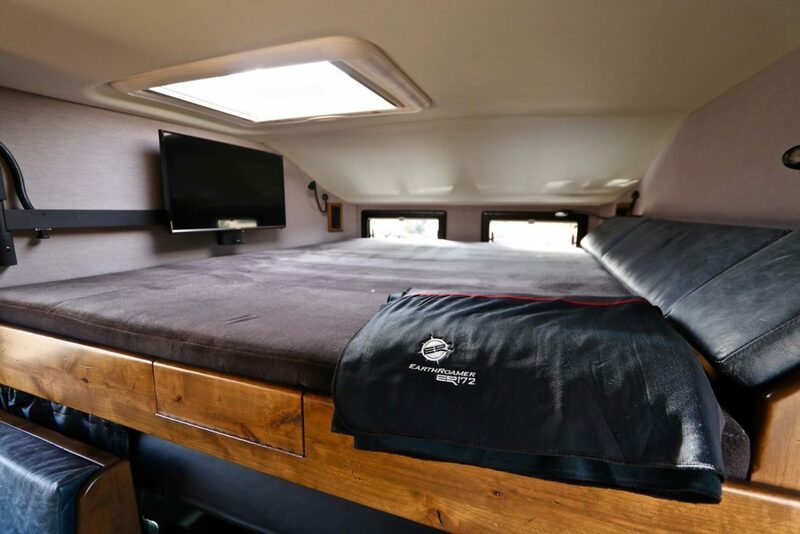 Put it this way – this vehicle is one of the only campervans that I would want if I were trying to survive in a zombie apocalypse (ok, maybe the Torsus off road bus too, but you’ve got to have a bit of luxury if you’re facing the end of the world!). It’s a tiny home on the back of a mighty and reliable truck; what more could you ever want! The XV-LTS is the perfect off grid home. With hot and cold running water and a diesel heater that can keep you toasty in sub-zero temperatures it’ll see you through the harshest environments and the worst conditions Mother Nature can throw at you. The best thing is that it does all of this without any fume spilling generators, choosing to go for efficient and non-polluting solar. 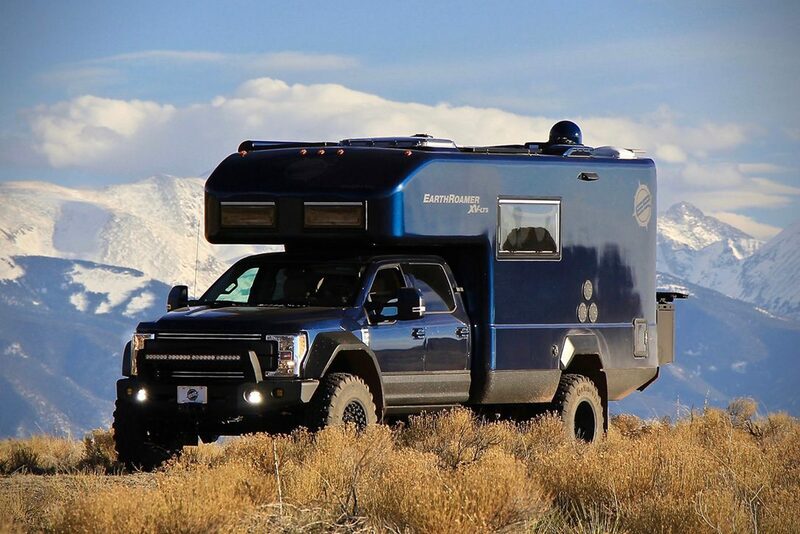 If EarthRoamer keep going like this, then they might just make our list of Top Eco Campers! This is where things start to get even more interesting. From what we can see, the Ford EarthRoamer has most of the same interior features as it’s more expensive cousin. 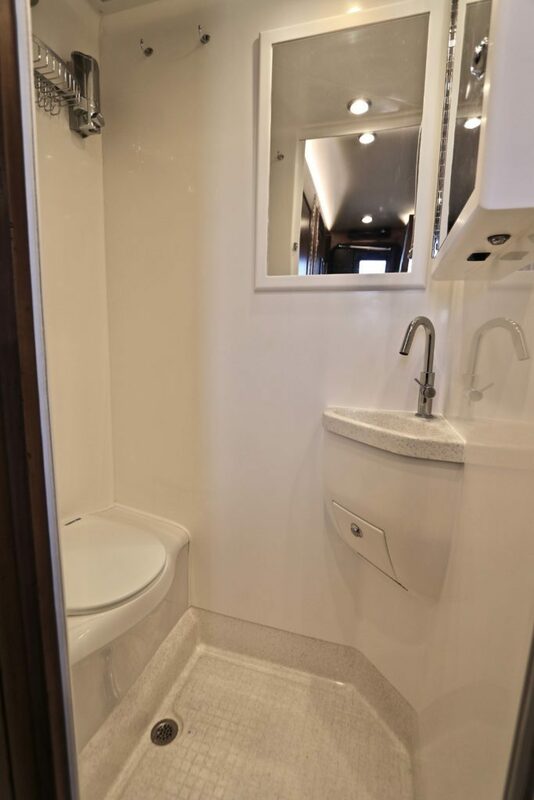 It has been intelligently designed to give you a living room, dining room, bedroom, bathroom and kitchen area, as well as space for outdoor cooking too! It can sleep up to four people and seat up to six – looks like two of your mates are taking the tent hammock out the back! The cleverly placed seating areas give you the option to either lay back on the sofa with a book or play games and snack at the ample sized table. The raised bunk bed is easily accessible and makes for an excellent space for kicking back and watching a film or staring out at the world as the sun comes up. Whichever way you look at it, the Ford EarthRoamer is built for chilling out and relaxing Fresh Prince style, and we can’t get enough of it. The bathroom and kitchen area are also well designed, taking every inch of space into account and not detracting from the available floor space in the living room. The cassette toilet and hot and cold shower are easy to wipe down and clean, and the addition of a clothesline is excellent for drying off your adventure clothes. Household appliances that you know and love like a stainless refrigerator/freezer, induction hobs and microwave come as standard. 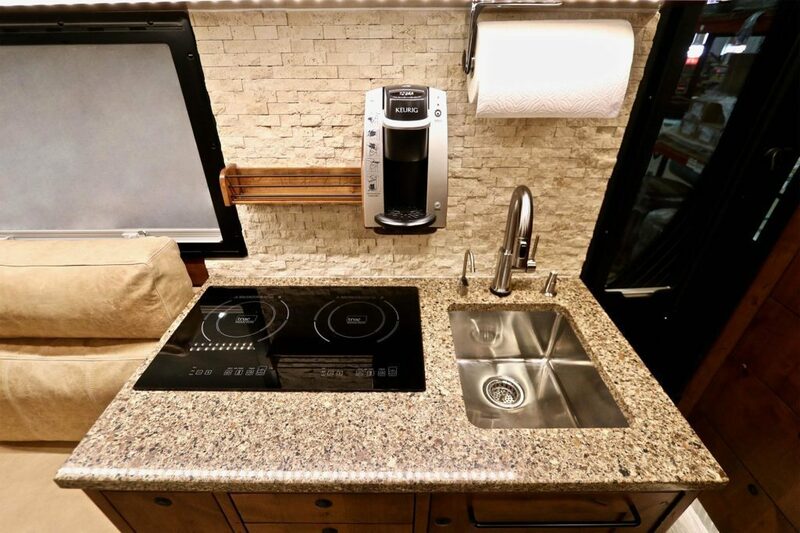 If you want to splash the cash, then additional luxury touches like a granite countertop, touch faucet and deep stainless sink can be added to give your camper the presidential suite feel. You can even add a wall mounter coffee maker too for those early morning drives! 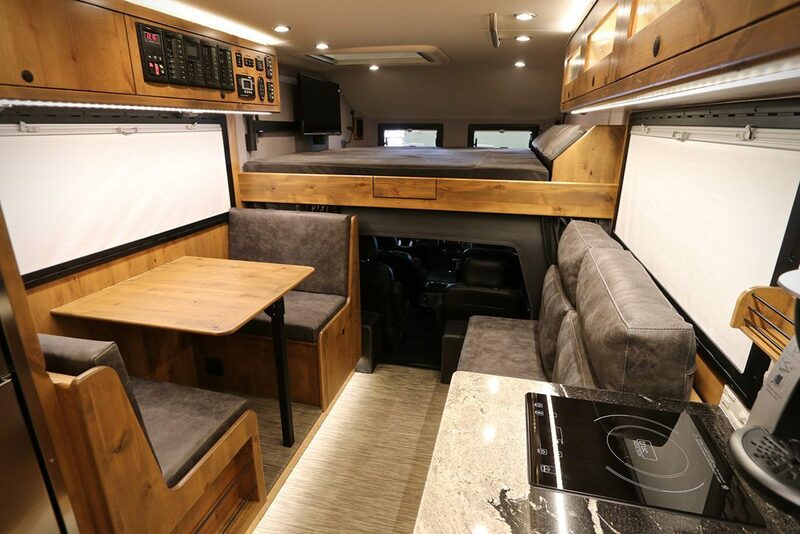 If you’re looking for a luxury adventure bus, then you’ve come to the right place. We’re amazed at how it looks, and the facts and figures of its handling and performance are all very impressive, but the best bit about it is the price tag. 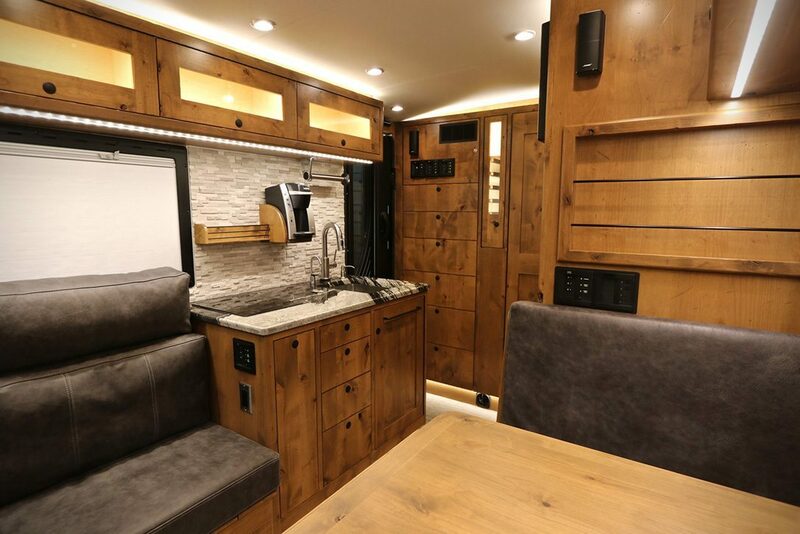 When you look at our two articles, you can see that the larger EarthRoamer has the upper hand with luxurious items such as a built-in washing machine, but I’d rather make do with a scrubba wash bag and pay half a million dollars less for a little less luxury! The Ford Earth Roamer also comes with a 3 year/36,000 mile warranty that covers all items all fitted items and components, as well as a comprehensive warranty from Ford, making it a sensible option for anyone who’s wanting to do some serious land cruising. Would we buy one? Yes, if we could afford it. Would we like a few to test drive? Why, that’s so nice of you EarthRoamer, how thoughtful! Check out the Top 35 Van Life Instagram accounts that you should be following! 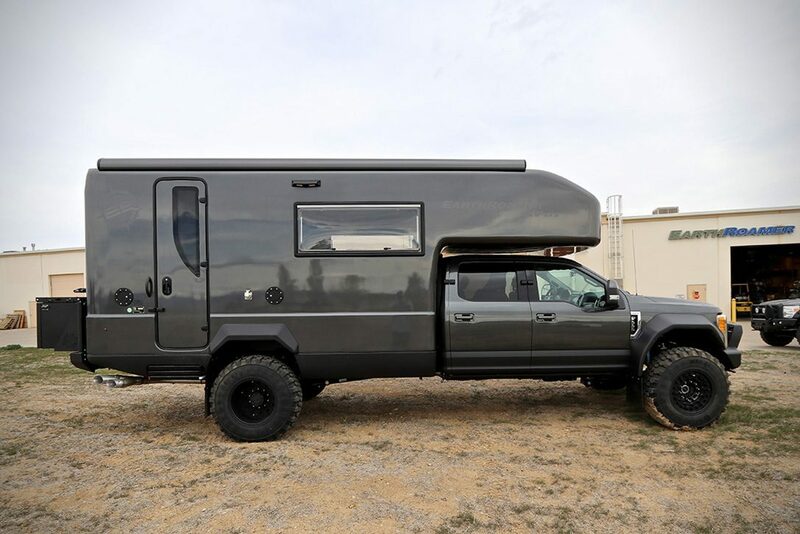 Joining the vandwellers? You need these Vanlife Tips. Looking for presents? Our Campervan Gifts list has everything that you need.